He’s hiding a secret. She’s afraid to trust. One chance meeting changes everything. Kelsey could easily fall for her rescuer, but she’s moving to Kenya in a month—she can't fall in love now. She thinks she knows him, but he wants to prove that he’s so much more. He’s hiding a secret. She’s afraid to trust. One chance meeting changes everything. When school teacher Kelsey St. James is robbed while walking to the bus stop, a handsome stranger comes to her rescue, turning her world upside down. With eyes that can see right through her and a dimpled smile that makes her weak in the knees, it would be hard not to fall for him. But she’s moving to the other side of the world in a month. She can’t fall in love—not now—no matter how much he makes her heart flutter. Keeping his secret life as a prize fighter separate from his billionaire persona is easy until Mitch Prescott saves a beautiful woman from a back alley mugger. 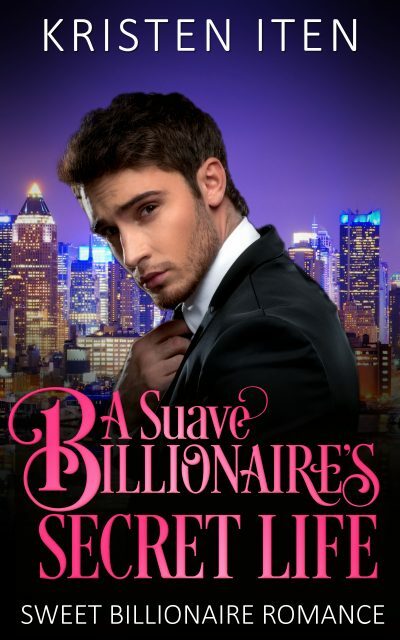 He never counted on meeting the woman of his dreams while undercover. She assumes his secret identity is his only identity, and he’s not sure how to set her straight without scaring her away. She thinks she knows him, but he wants to prove that he’s so much more.